Robots Will Steal Your Job, But That's OK is an audiobook that explores the impact of technological advances on our lives, what it means to be happy, and provides suggestions on how to avoid a systemic collapse. Written by Federico Pistono and read by Ian R Buck. There is a bit more nuance to the question of whether income can affect your happiness. It comes down to the difference between emotional well-being and life satisfaction. 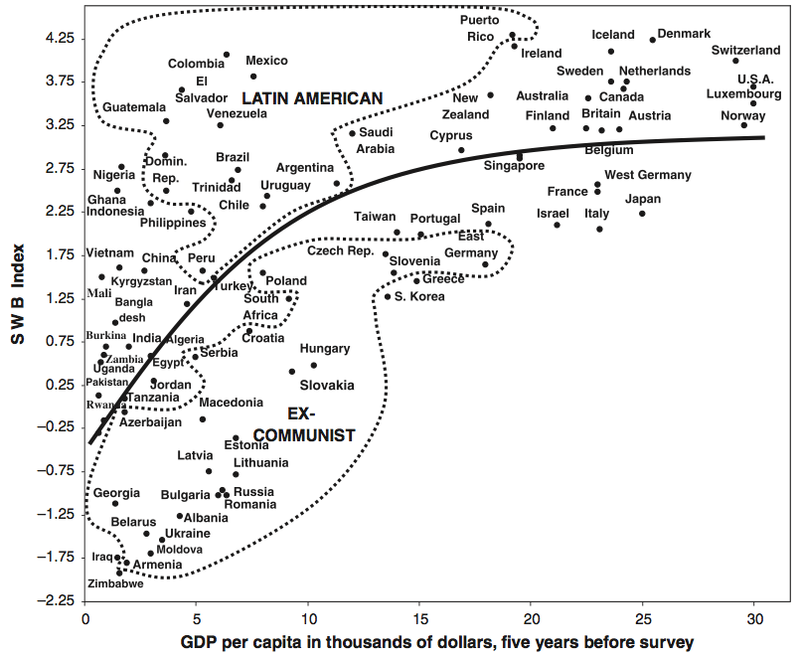 Economic Growth and Subjective Well-Being: Re-Assessing the Easterlin Paradox, Betsey Stevenson and Justin Wolfers, 2008. Brookings Panel on Economic Activity. Income, Health, and Well-Being around the World: Evidence from the Gallup World Poll, Angus Deaton, 2008. Journal of Economic Perspectives, 22(2). pp. 53-72. Does Inequality Make Us Unhappy?, Jonah Lehrer, 2011. Wired. The Pursuit of Happiness: An Economy of Well-Being, Carol Graham, 2011. Brookings Institution Press. p. 22. High income improves evaluation of life but not emotional well-being, Daniel Kahneman and Angus Deaton, 2010. Proceedings of the National Academy of Sciences. The Robots Will Steal Your Job, But That's OK Audiobook is released under a Creative Commons — Attribution-NonCommercial-ShareAlike 3.0 Unported license. Feel free to use any or all of it as long as you link back to http://thenexus.tv/rsj14, you do not use it for commercial purposes, and you release any derivative works under the same license.